I had a busy week working at the museum in Julia Creek – we themed the collection into areas of strength and started a collection management process for storage and exhibition purposes. 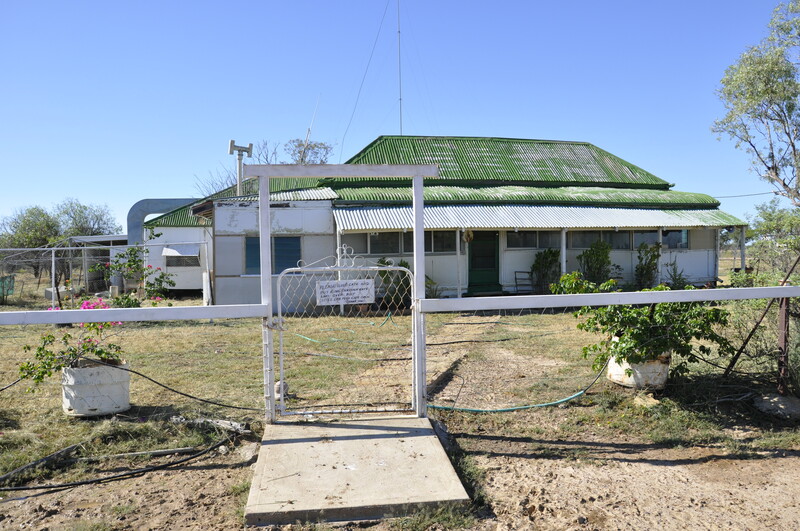 One of these themes is station life – and I was lucky enough to visit Isobel Downs with Shirley Eckford, the station that her parents started in 1922 and her family still own. Shirley guided me through the station and we photographed and collected for a new exhibition. We are focusing on the sheep and shearing era – interesting. I am finishing this western QLD trip with a day at the Richmond Fossil Festival and looking forward to the unveiling today of the Richmond Pliosaur at Kronosaurus Korner. Posted on 5 May 2012, in Uncategorized and tagged ewen, Julia Creek, Richmond. Bookmark the permalink. Leave a comment.